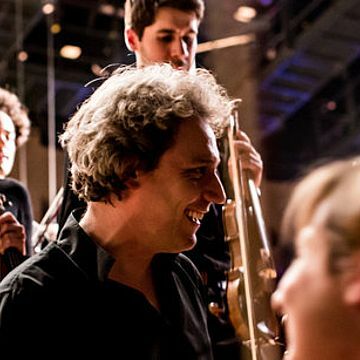 The creation of Les Dissonances by the violinist David Grimal in 2004 marked the beginning of a unique, unconventional adventure in the European musical landscape. 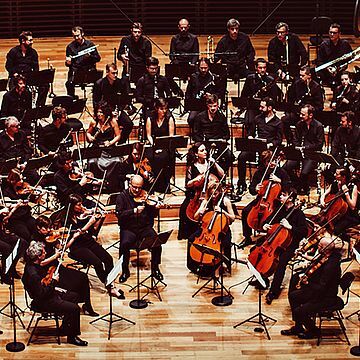 Musicians from the most prestigious European ensembles joined forces to experiment with another way of making music together, redefining the contours of twenty-first century orchestral practice. As the laboratory of a collective of committed musicians, Les Dissonances explores musical language in a dialogue between musicians, without the mediation of a conductor. 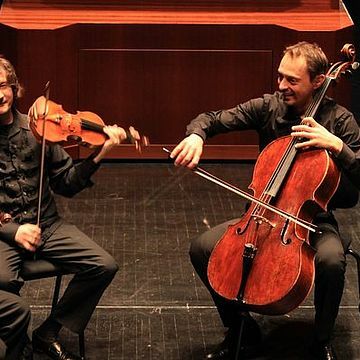 This Protean ensemble evolves from quartet to symphony orchestra, and blends ingenuity, curiosity, and audacity in the design of its repertoire. 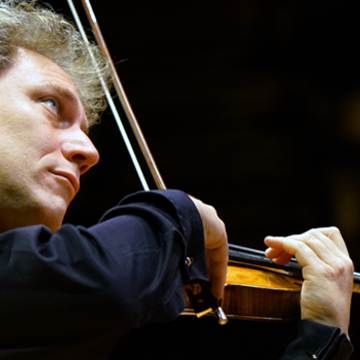 Become a supporter of the orchestra and make a contribution via our secure platform funding.